Brad and I are always on the lookout for unique and authentic experiences to share with our clients. We recently spent 2 nights at Umlani bush camp in the Timbavati private nature reserve, and were very impressed. Umlani has repeatedly been recognised by the Lilizela Awards, for the best 3 star safari lodge in excellence and accommodation. We understand why. Umlani provides an authentic, comfortable, on the ground safari experience which is rich in atmosphere. 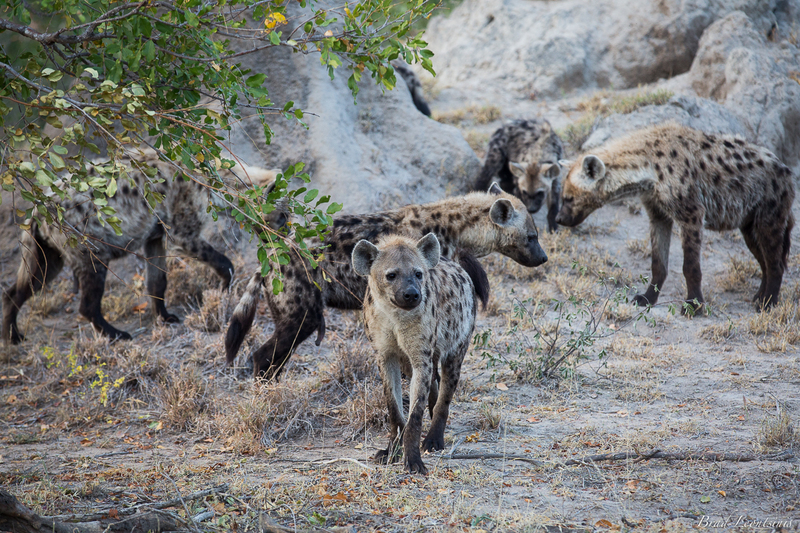 It is obvious why they have loyal base of repeat guests that have made this camp their home in the African bush. The lodge has an overall rustic feel with no electricity in the rooms, which allows one to switch off and truly immerse into the surroundings. With a dedicated area in the main lodge for charging of camera batteries and any other necessities, this lodge lacks nothing and is the perfect way to get back to basics. The lodge encompasses the local tribal architecture in its design and overall feel. The rooms are en-suite reed or thatch rondavels, each supplied with oil lamps and additional solar lights to give off the perfect ambient evening lighting, comfortable beds, crisp white linen, soft towels, mosquito netting, and on cooler nights you’ll find a water bottle tucked under the covers just for you. Hot, showers in your outdoor en-suite bathroom under the African stars are priceless. The Umlani team are a family, most members have been at the camp for more than 6 years and some as long at 13years. This is testament to the warm hosting you will experience. The food and overall dinning at the camp is great, the locations for dinner are changed each evening so you’ll have a chance to feel the different environments this lodge has on offer. A real treat is dining in the dry riverbed in front of the lodge, this is my favourite location on the warmer evenings. The bush bar & deck over looking the water hole is another, and a safari is never complete without dinning in a traditional bush boma. Umlani has it all, they know what it means to be in the bush, and to feel your natural surroundings… the dust of Africa on your feet. But a safari location is nothing if the wildlife experience doesn’t match up. 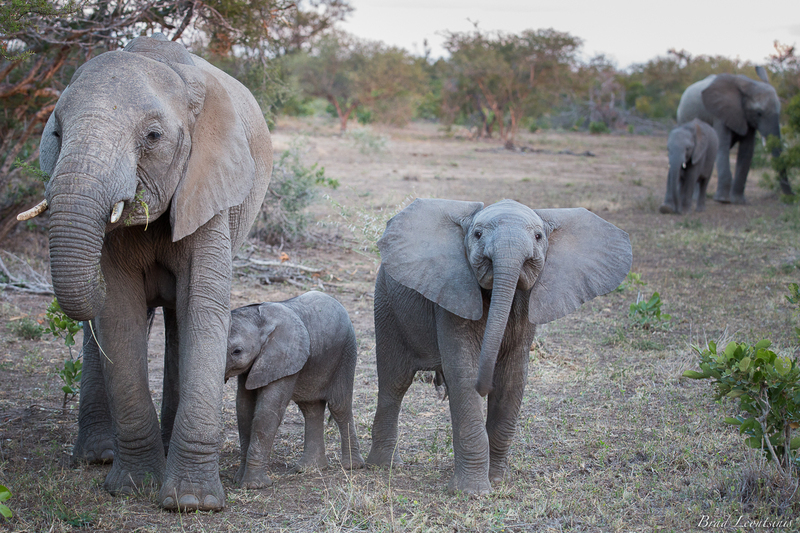 The Timbavati Game Reserve borders the famous Kruger National Park with no fences between the two reserves making the Timbavati part of a true wilderness region. 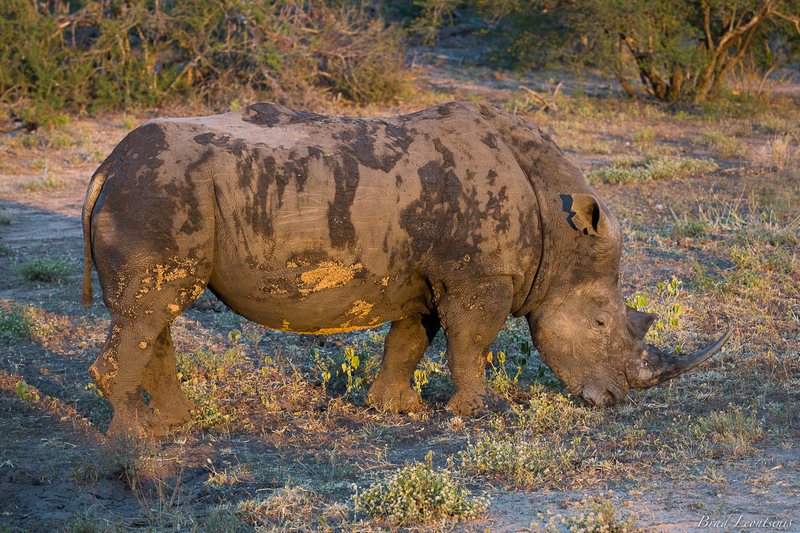 Famous for the quality and intensity of big 5 sightings, this region is not to be missed. The specific area around Umlani has a secret to share with those lucky few… the illusive white Lion. Certainly one for the bucket list, especially for photographers in search of unique images. A clan of no less than 15 hyneas with multiple den sites and pups of different ages was an awesome start. We stayed with them moving from den to den as the sun started to rise giving us great lighting for some awesome photo opportunities. Then a rare and treasured sighting of a lone white rhino was another; this male was on the move and we were able to follow along side him as he feed while keeping a steady pace. The size and power of these animals always wows me. He was so relaxed and happy for us to observe him, made me sad to think how anyone could want to destroy such a magnificent creature. A real treat for me, was a big breeding heard of elephant. You should know that a breeding heard are something to be respected and treated with care… but Brad has such an intuitive way with animal behaviour I know I am always in for a safe and intimate experience. We spotted about 10 of them walking towards us through the trees. We moved forward so as to have them cross our path… then I saw the herd. There must have been at least 60. They all stopped a little way from us, eyeing us out. We kept our position and let them come to us. It was just perfect. Before long young and old surrounded us. The playful and cheeky youngest used us to practice their confident mock charges, and the adults kept a watchful eye. It was my BEST. A young female leopard, not more than 2 years old, hunting a steenbok. This was a surprise sighting! It was a windy morning so she had the elements in her favour, her focus was unwavering. We watched her for a while then left her to get the job done. 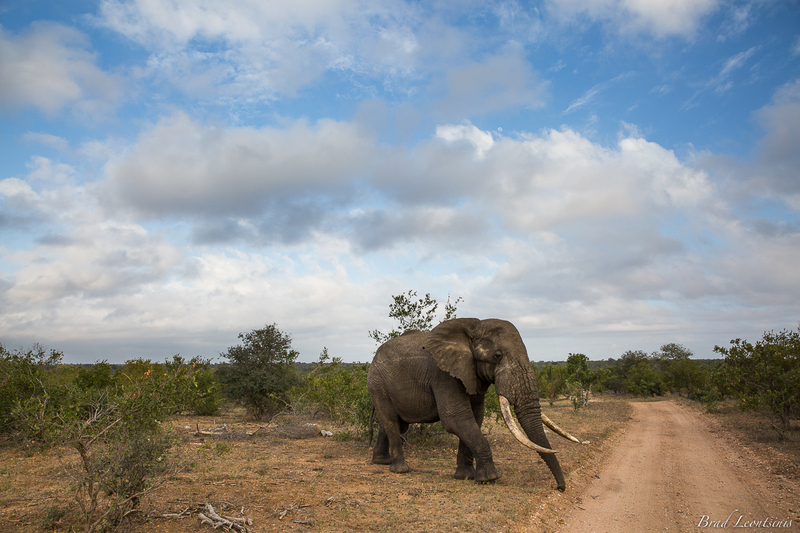 We finished off a great wild life trip with some one on one time with the ultimate elephant sighting, a massive Tusker. This old boy seemed as happy to have us around as we were to be there. He was very relaxed and came to investigate us a few times. His size and structure are so great, with such a calm and content energy about him. Snapping a Leadwood tree (the hardest wood in Africa) like a toothpick, his power was obvious! This rarity of these types of elephants is a harsh reminder of the reality facing our elephants face with the surge of ivory poaching. We were honoured. Umlani’s “close to nature” experience is the perfect way to truly connect with our African Bush. We can recommend this to all our naturalists that are looking to feel the ‘dust of Africa on your feet’ while on safari.